Now available as an audiobook, narrated by the award-winning Tavia Gilbert! Kali thought that seeing the shadows was a curse. Until she saw him. When Kalia Thompson was five years old, she told her parents that she could see two sets of people: those living now, and those who had lived before. When no one believed her, she simply stopped talking about it. But now, at seventeen, while spending her spring break in Hawaii, Kali suddenly finds herself surrounded by more shadows than ever. Including one who, unlike the others, can see her too. Edie started writing her first teen romance when she was ten years old. As you might imagine, it was pretty lousy, since she knew absolutely nothing about romance at the time! But since growing up, marrying the man of her dreams, and having three kids of her own, she’s learned a thing or two about what it means to be in love. Edie published her first novel, a mystery, in 1999 with the Signet imprint of Penguin Putnam. 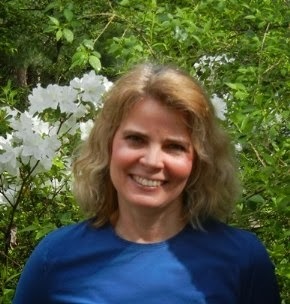 She later began publishing romances with Warner Books and stage comedies with Samuel French, and in more recent years, has begun publishing independently direct to readers. She loves stories that engage the reader immediately with vivid, real characters, emotional challenges and confrontations, puzzling mysteries, and stirring romantic tensions. She had the idea for a girl who sees “shadows of the past” for many years before a trip to Hawaii suddenly made all the elements come together — for a writer, it was the perfect storm! 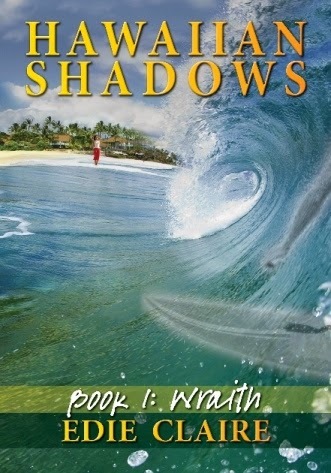 Wraith, the first book in the Hawaiian Shadows series, is most likely her favorite romance of all the books she’s written because the characters feel so alive — even though one of them is a ghost! Both Wraith and Empath, its sequel, have made Amazon Kindle’s Top 100 lists for top-rated books and bestsellers in Fantasy/Paranormal YA Romance. Edie is absolutely thrilled to have the audiobook narrated by Tavia Gilbert, an amazing actress whose credits include Audie nominations and numerous Earphone and Silver Parents’ Choice awards. Tavia’s ability to create multiple distinct character voices and her strong emotional connection to the story make this audiobook a must-listen for anyone who cares to dream of finding love and laughter in one of the most beautiful places on earth! I love audio books and ghost stories! I am an audiobook addict and have a job that lets me listen as I work. Ghosts, the past, and Hawaii - who could say no to that?